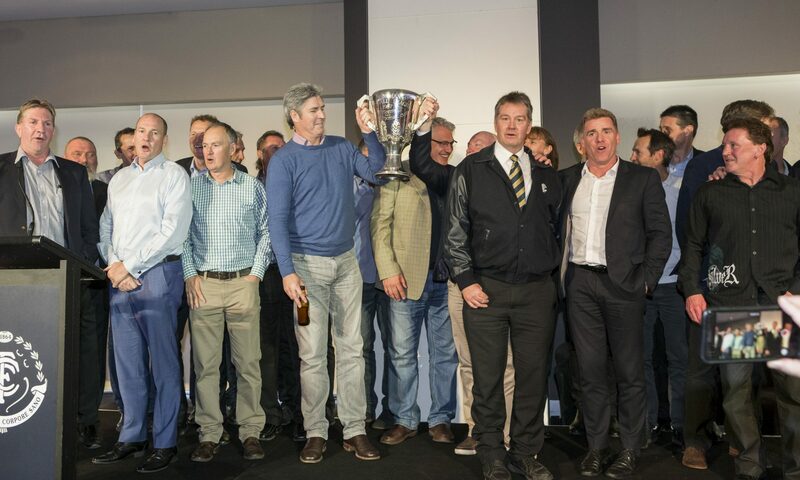 At our recent AGM (held at 6pm on Tuesday, May 30 at Ikon Park), there was a special resolution for the current year by the Spirit of Carlton Committee and attending members. It was recommended and proposed by the Spirit of Carlton committee that the incorporated entity be de-incorporated and a new structure formed within the administration of the Carlton Football Club. Due to the ever increasing and excessive costs to the SOC and work required by the CFC for achieving annual compliance and auditing under Victorian Consumer Affairs Association rules, the CFC and the SOC have questioned seriously whether the SOC should continue as an Incorporated Association. It was proposed that the SOC could become a special entity of the CFC under the guidance of the SOC committee. As per Vic incorporated Association rules, exiting or de-incorporation requires a formal special resolution to be put at a SOC AGM. A special resolution relating to this proposal was put to the last SOC AGM in May 2017. Members at the meeting argued that there had not been enough background information available prior to that AGM to be able to vote on this special resolution. It was agreed that the special resolution be put to the May 2018 AGM and appropriate background information be forwarded to members prior to the AGM. It should be noted that the CFC Coterie Group, The Carltonians, have recently de-incorporated for the same reasons as above. OUTCOME: The motion to De-Incorporate was carried and as such the Spirit of Carlton will now become a special entity of the CFC. The existing committee will continue on during the transition and are currently reviewing a committee nominations process under the new structure. The core purpose of the SOC remains unchanged – Our mission is to bring together past players & officials and current players to renew and build the Carlton spirit and at the same time raise funds to help improve the Carlton team performance and team spirit by running major events on an annual basis. In addition to the above, we aim to provide welfare assistance to past players who are deemed to be in real need of support as well as to help preserve and present the history of the Carlton Football Club. All remaining funds following de-incorporation will be transferred and quarantined within the Carlton Football Club as a SOC budget and administered by the committee. Moving forward there is no requirement for an AGM. An information night will be held in future to update members as required. Members information will be updated as outlined below. Following the SOC AGM, a committee meeting was held on Friday the 15th of June. It was recommended that the current committee continue during the transition phase to ensure consistency. A draft of a committee formation process was presented to the committee and is currently under review. Once finalised by the existing committee, the new process will be sent to members and timings for the nominations will be communicated. It is important to note that under new privacy laws, the new structure will enable the Spirit of Carlton to communicate more freely with its members and the AFLPA via the Carlton Football Club. Members will have greater control over the communications they receive. In the coming months the SOC Committee and CFC will undertake a process to ensure all past and present players & officials contact details are accurate and up to date. Please note that the next event will be the annual Spirit of Carlton luncheon at Etihad Stadium, Friday 17 August. Join senior coach Brendon Bolton, the current playing list as well as members of the 1968 Carlton Premiership team as they celebrate the 50 year anniversary. There will also be an induction of two players into the Carlton Hall of Fame. A copy of the 2017 Annual Report is available here for members reference.